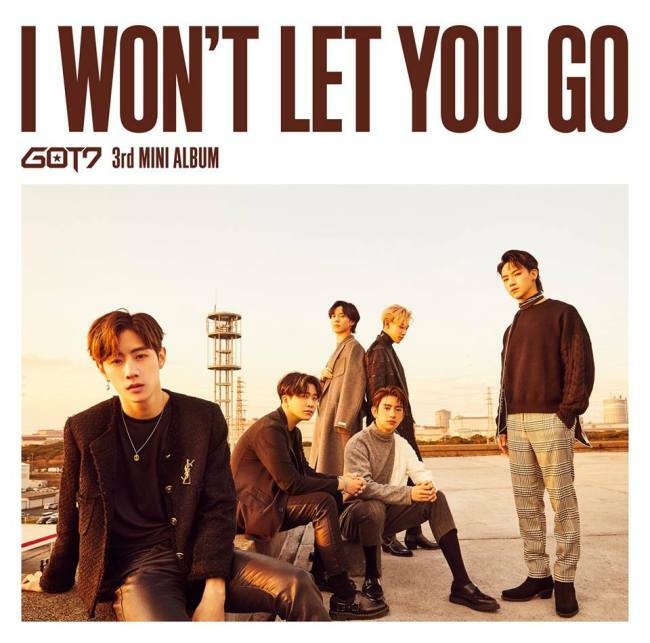 GOT7’s new Japanese EP became an immediate success on charts upon its release Wednesday, topping two of Japan’s most prominent charts. The septet’s third Japanese EP, “I Won’t Let You Go,” debuted at No. 1 on the daily albums charts of Oricon and streaming service Line Music. The EP’s title track was released on Dec. 17 along with a music video. The song, with lyrics that sing of not giving up on love, also landed atop Line Music’s weekly chart for the week starting on Dec. 19. GOT7 is currently on a concert tour dubbed “Road 2 U,” which kicked off at the Budokan arena in Tokyo, Japan, on Dec. 18 and 19. The tour moves on to the World Memorial Hall in Kobe, Japan, from Feb. 2 to 3. GOT7 debuted in January 2014 under music label JYP Entertainment with the six-track EP “Got It?” Its first Japanese debut single, “Around the World,” released in October of the same year peaked at No. 3 on Oricon’s weekly chart.